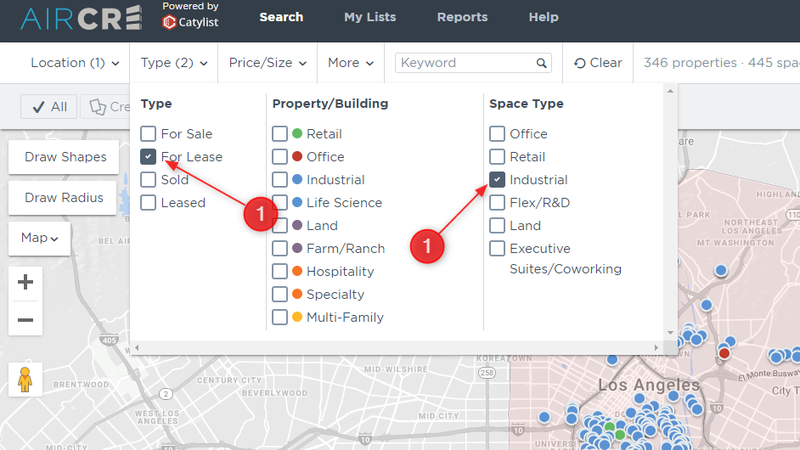 With the new AIRCRE Research & Listings Platform, there are some key elements you should know about while running searches. One in particular is the case of using “Building Type” vs “Space Type”. In a very large majority of cases, Space Type is going to give you the best results. Using Space Type will bring back all results that meet your criteria regardless of the actual building type. For example, if you are to run an available for lease search and use Industrial as your space type, you will notice there will be many blue dots on the screen. Scattered amongst the blue dots, you may see some green and red dots poking through. In these cases, it is an industrial space available in an Office or Retail building. So, if you are to select Industrial as your property type, instead of only using the space type, you will not see these additional results that may work for your clients needs. An example of when you may want to use Building Type, is if you are looking for first floor retail space, available in an office building. So, after you select “For Lease”, in the type section, you then want to select Retail in the Space Type section. You will see a majority of the dots on the map turn green. Next, you want to select Office in the Building Type. 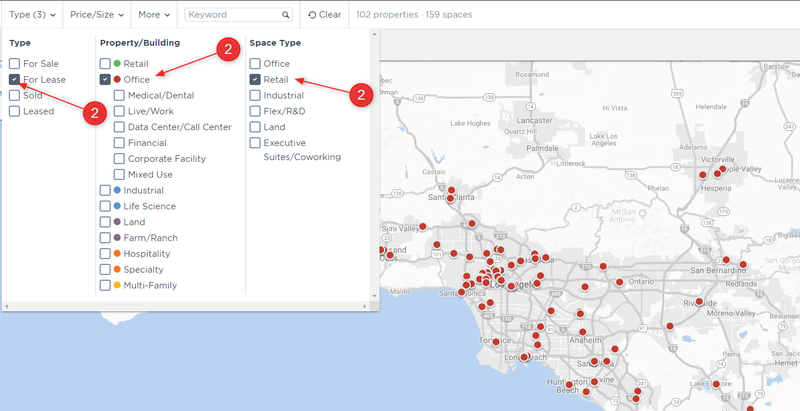 Now, you will only see red dots on the screen which are office buildings, with a retail space available in them.So, to reiterate, Space Type is going to be your best option to always maximize your results to ensure you have a full coverage of listings to send to your clients.